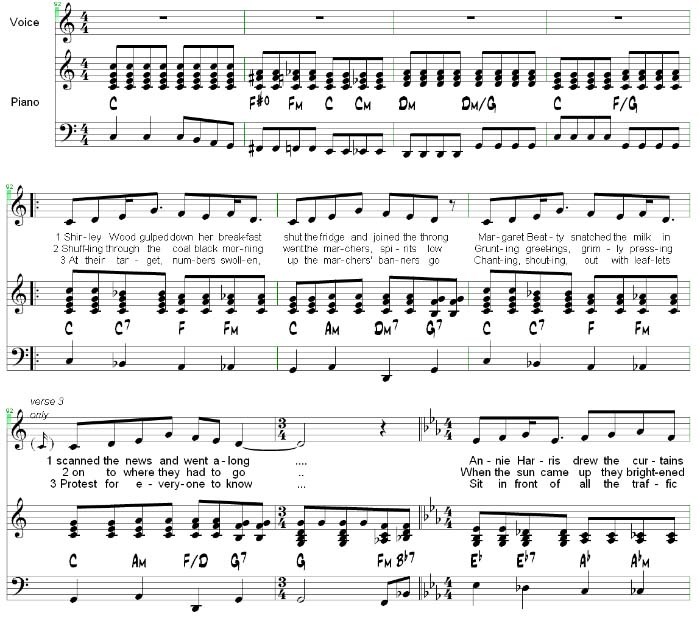 In musical circles transcription, or dictation, is the skill of producing a written manuscript. And if you post us an inspired symphony scrawled on a napkin from the Ritz we shall, by return of post, provide a neat and ordered printed copy as well as an electronic version in whatever format you use in your daily work. But what about something more esoteric? What a lot of people don't realise is that the written note doesn't necessarily come before the played note. Improvised jazz, gifted musicians who produce music readily from the ether and jamming sessions are the complete reverse - the music comes first. In a lot of cases these are people who couldn't produce a neatly annotated composition in a thousand years. We can take a recording and by listening ever so carefully to it can produce written musical notation from it. We can take your improvised jazz solo and return it to you neatly laid out in a way that almost defies the essence of jazz! In the same way pieces containing several instruments can be done, each followed for its subtleties as well as the actual notes played. The source can be almost any audio source from a tape recording to, as we'll see in a minute, a YouTube video. The better the quality of the recording the better the results of the transcription as distortions can hide the correct pitch or meter of a piece. As an example, take a look at the YouTube video below. The recording was carefully studied and written out as a full score with all necessary annotations. Shown below is the first half page of the piano/vocal arrangement, by kind permission of David Matthews. Opening bars generated by ChordWorks from the video above. This sheet music is not available for sale except by special arrangement. While there are a multitude of pieces of software that claim to be able to do automatic transcription, computers just don't have the ear that trained musicians do for picking out the intention of a piece of music and the subtlety of its execution.